Early Boy Scout organizations included "American Boy Scouts", "United States Boy Scouts", "Forest Scouts" "Life Saving Scouts", "Safety Scouts", "Rhode Island Boy Scouts", & the "Boy Rangers". Early "Camp Fire Girls" are also listed here. 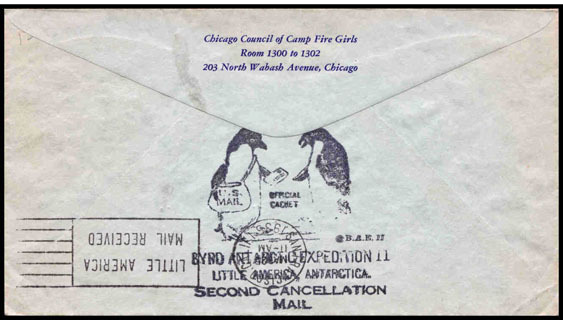 Byrd Antarctic Expedition II second cancellation mail. Sent to the Camp Fire Girls offices. 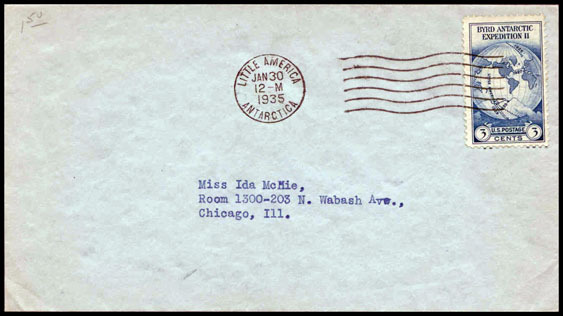 Black rubber stamped Official Cachet. 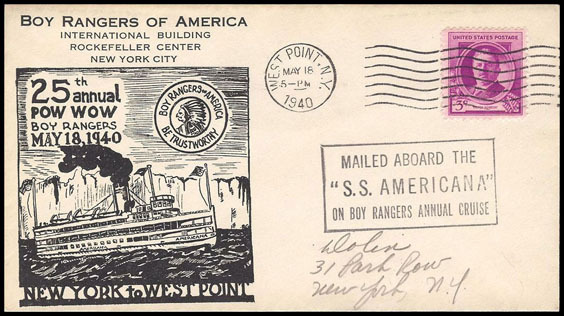 The Boy Rangers, an organization for 8 to 12 year olds, was founded in 1913 by Emerson Brooks and incorporated through the efforts of James E. West in 1918. 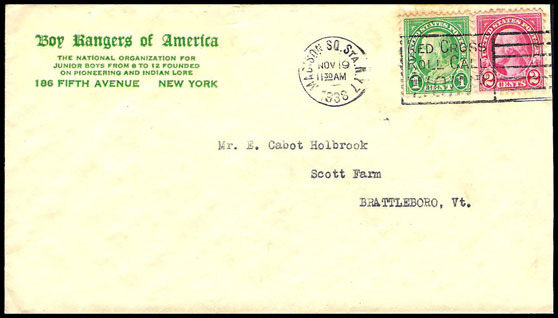 It was the precursor to the BSA Cubbing program which didn't start until 1930.